Harv is doing great -- fuzzy and fat and happy with his girlfriend "graymare." I spent some time grooming him on Christmas day. He was mellow and loving and appreciated the attention, which for him is a bit of a change. He can be quite indignant when brushed. 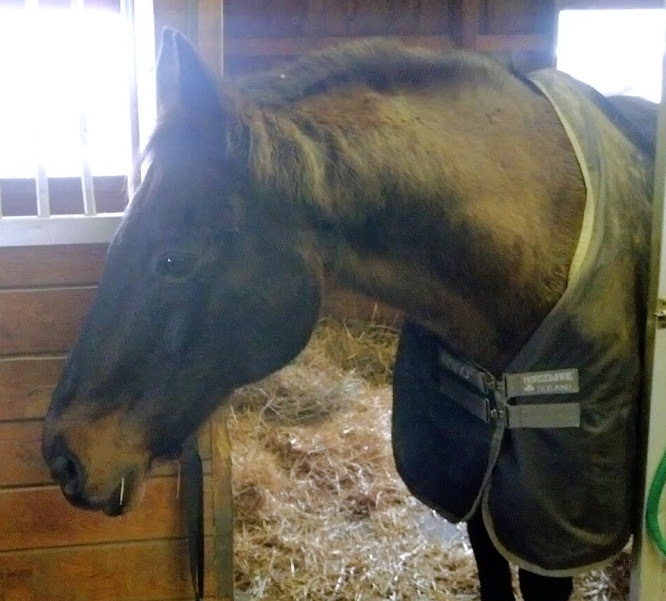 The very best day of 2012 was coming to the barn in late November to find Harv "recovering" from his colic bout. Happy holidays, all! Harv looks fuzzy and content. What more could anyone want for Christmas? I love fuzzy old horses. Got one of my own, though he's a relative youngter of 18 (soon to be 19, January 1 and officially February 27). Glad Harv's digestive issues are gone and that he has a friend ;o) Give him a snuffle for me (love putting my nose in that thick hair). I think I love Harv from afar. He reminds me a bit of a dark bay Tb in my past, who I still miss.